Daucus Carota. 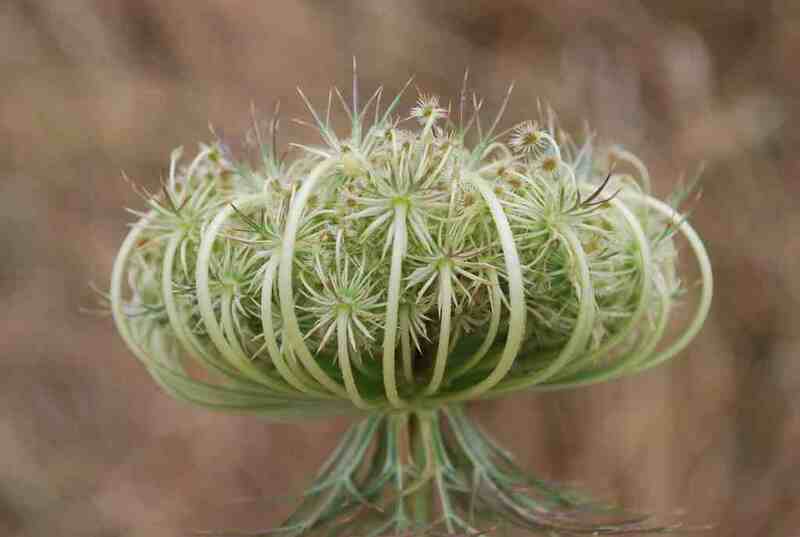 Queen Anne’s Lace. Wild Carrot. Daucus Carota is a very noble plant indeed and it is most satisfying to see it being grown in domestic gardens as a cut flower. When the Higgledy Garden was based in Cambridge we had a swath of it growing in a brown field wasteland plot next door so I never grew it myself. Now I’m in sunny Cornwall I shall be dedicating a couple of square metres or three just for Daucus with the intention of have a rolling patch…with flowers reseeding year in year out. Despite being a biennial, and as such one would image sowing seeds in the first year and harvesting flowers the second…an early sowing in late March or April will produce flowers at the end of summer and a late summer sowing will produce flowers the following early summer. With successive sowings a trained professional flower growing hero such as myself should be able to have flowers from June through until the frosts. Now you may be thinking…’Higgers…this handsome Daucus looks similar to Ammi Majus…do I need both in my patch?’…you would be right…Daucus Carota and Ammi are cousins. They have different qualities however. 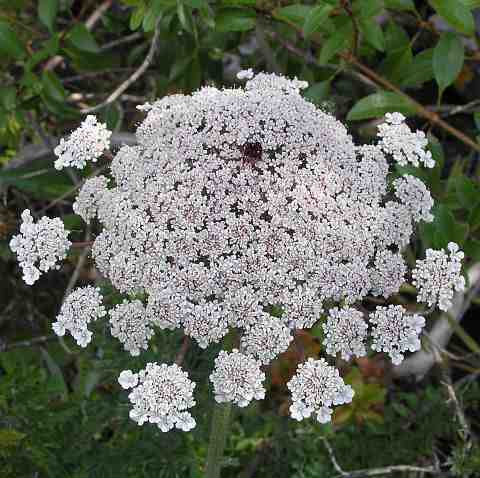 Daucus is more rugged and perhaps uncouth (much like my good self) whereas Ammi is a little better behaved and elegant. Daucus has a red dot in the centre of its flower….Ammi doesn’t… If you are short on space then I would suggest just growing one this year and another next…that’s the beauty about creating flower patches from seed…you can completely change them from one year to the next. 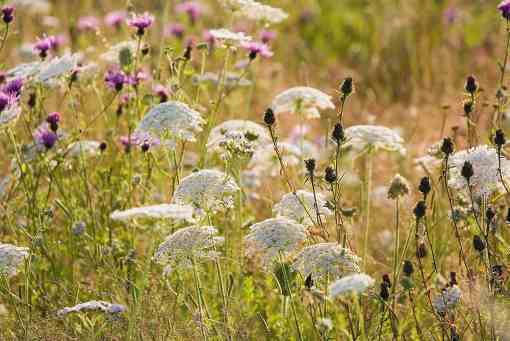 How To Grow Daucus Carota From Seed. *First off the bed needs to be well drained….if your beds get water logged then perhaps consider knocking up some raised beds. *Sow from late March through until May for a flowering the same year….or June-August for flowering earlier the following year. *Usually I would recommend sowing flower seeds in three rows…but for Daucus I shall be sprinkling the seeds…over a couple (or more) square metres…but be warned…the seedlings can look like grass when they first emerge. Sometimes they can take an age to germinate….but let them do their thing. *Only cover the seeds VERY lightly. *Thin out plants when they are as tall as your thumb to about a foot apart apart. 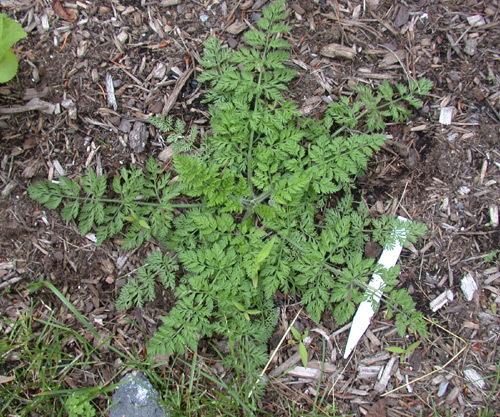 I sell Daucus Carota at £1.95 for 1000ish seeds. Happy growing………spring is not far away…..YEAH! Seeds To Sow In Early Spring. Sunflower ‘Earthwalker’. Cosmos ‘Sensation’. All Time Classic.